Supplements have soared in popularity over the last few years, with experts claiming they can help aid a variety of health problems. When it comes to the best supplements for digestion, which causes problems for many people, what are the best ones to take? B vitamins are important for keeping you energised and healthy. Each B vitamin has its own function, from the formation of blood cells, to strong nails, to supporting the body in the release of energy from food. But B vitamins can also assist with breaking down certain foods in a person’s diet. Vitamin B2 and vitamin B5 help your body to break down carbohydrates, fats and protein and allow the body to absorb the nutrients. These vitamins can be found in foods such as eggs, fish, nuts and spinach. Vitamin B6 helps us metabolize amino acids from the food we eat. As amino acids are the building blocks of protein, they are vital for the structure, function and regulation of the body’s tissues and organs. Vitamin B3 can help your digestive system to function properly. It also boosts the good cholesterol in your body. Good cholesterol, or ‘HDL’ cholesterol, is known for carrying the bad cholesterol away from the arteries and back to your liver. The liver then secretes the cholesterol in bile. B vitamins are also good for the skin and the nervous system. Vitamin B7 can support the growth of healthy hair, skin and nails. Lack of B7 can lead to weak nails and thinning hair. Vitamin B3 can help to improve the condition of skin, including uneven skin tone, acne and wrinkles. Vitamins B2 and B6 help your body in ensuring your nervous system is operating correctly, including in the formation of new blood cells. In particular, B6 helps to make haemoglobin, which carries oxygen throughout your body. If you have low B6, you may feel tired or weak. To keep your B6 levels topped up, try a supplement. Benenox Overnight Recharge can top up your glycogen levels as you sleep, allowing your brain to carry out essential repairs. It contains vitamin B6, as well as Sustamine and natural honey, to support your body and mind. Vitamin B1 plays a role in supporting your nervous system function and, as your nervous system is essentially the body’s electrical wiring, it’s crucial we take care of it. Vitamin B5 is important in the formation of oestrogen and progesterone hormones. For pregnant women, it’s vital to have sufficient levels of Vitamin B9, also known as folic acid. Vitamin B9 plays a role in foetal health, as it aids the development of the baby’s nervous system. Vitamin B12 supports healthy blood cells and our nervous system. It also helps to prevent megaloblastic anaemia, which can make you tired and weak. Unlike other B vitamins, B12 does not naturally occur in any plant foods. For this reason, it could be helpful to take a supplement. 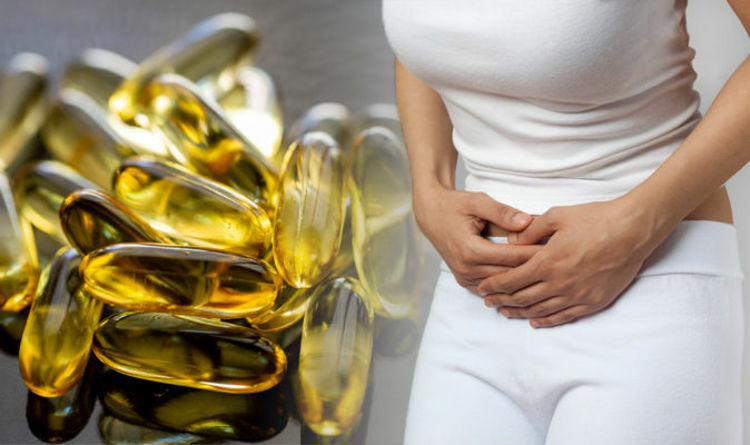 Experts say supplements can help with another problem linked to digestion – bloating. Holland & Barret recommends friendly bacteria supplements to help beat the bloat. The high street health shop says these can aid digestion and help contract the negative effects of bad bacteria in your gut. It adds: “Best of all, numerous studies have shown they may help ease symptoms of IBS like pain, gas and bloating. It also recommends fennel supplements, peppermint oil, and activated charcoal supplements.